Can you believe that another year is almost coming to an end? How will you be celebrating with your family? 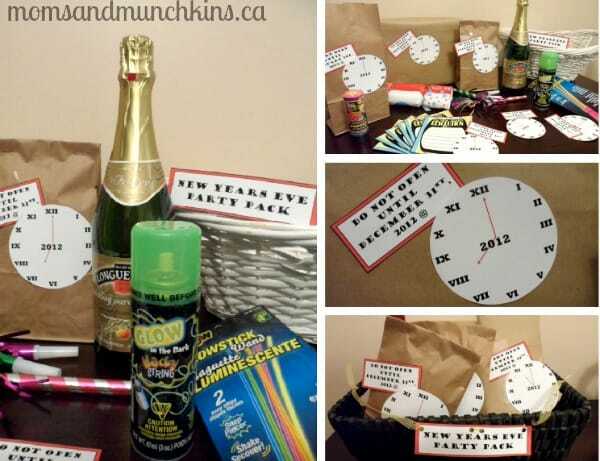 Here are some fun New Year’s Eve activities for kids that your little ones may enjoy. This idea was adapted from one featured on The Idea Room – here is their original post to check out their ideas. 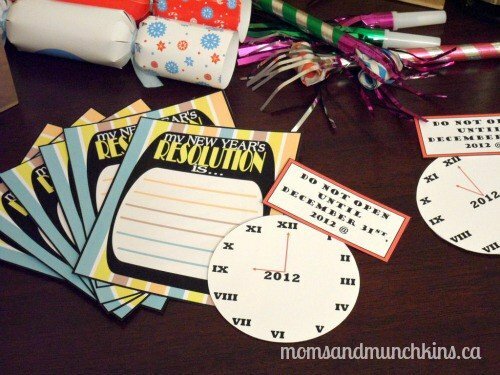 She also has free printables for the countdown clocks! You’ll want to wrap each item in brown paper (or use brown paper bags if the items fit) to create 6 party packages. 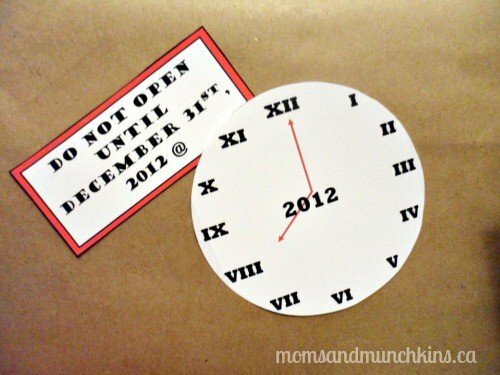 On the front of each bag, glue on a “Do Not Open Until” tag along with one of the countdown calendar clocks. 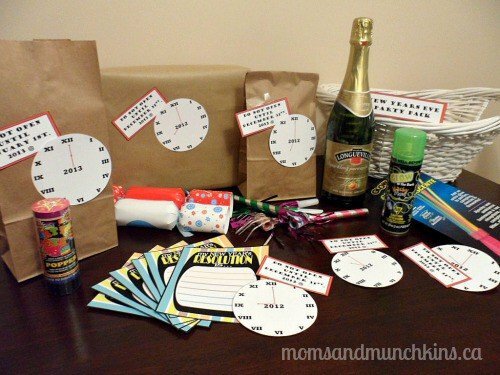 Then each hour leading up to the new year, the kids will have a fun activity package to open. This is also a great idea for a hostess gift if you are attending a New Year’s celebration at someone’s house that has kids. Are you going out for New Year’s Eve this year? 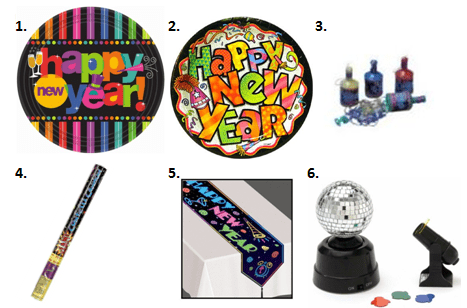 What are your favorite New Year’s Eve activities for kids? We’re always adding new ideas for family fun. Never miss an update by following us on Facebook, Twitter, Pinterest and Bloglovin’. This is such fun! Fantastic idea. My boys are too little still, but I’m pinning this for the future! I love this idea! Would work great for kids as well. I love this. What a great idea! You are the most creative person ever. Such cool ideas! Seriously…can I come over to your house? You’re the coolest 🙂 Such fun!!! These are great! You’ve got an awesome blog here with some wonderful ideas for kids. If you are interested in some of your crafts being featured on AllFreeKidsCrafts, please contact me. Thank you for your note, Jaclyn!